Ever since photo’s of Mars were taken from the Viking orbiter in 1976, the answer to the question of if there was life on Mars seems to be yes. 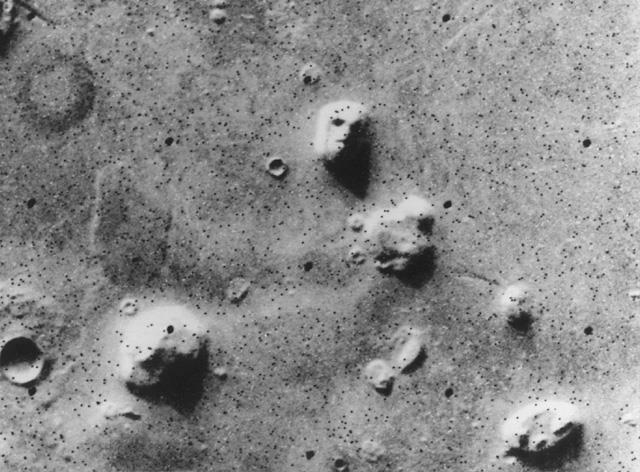 Photos depicting an enormous face staring up from the surface proved to be eerie. The pictures also include a sphinx and a 5-sided pyramid. When Zecharia Sitchin released findings of tablets in what used to be Sumeria, Sitchin describes the writings telling of the Anunnaki, a superior alien race that came down and taught the Sumerians new technology. Many speculate that the formations on Mars surface were built by the Anunnaki which also opened up the idea that the great pyramids were built by aliens using humans as slave workers.